GoDaddy is concentrating on helping SMBs to build their websites and grow their businesses in India. Therefore, Godaddy has been optimistic about the growth of e-commerce in India. And increasing investment in the Indian market. The tip is switching your currency to INR (Indian currency), you’ll get saving 27% off. Click ‘Transfer domain away from GoDaddy’ at the bottom of domain settings page. On next page, requesting a renewal coupon in the form ‘Why are you transferring?’. Wait for some time. You may receive a renewal offer link in your email. You will get 20% off domain renewal discount, click the offer button to check out. We must understand the ownership of a domain name. That means you have the right to use a domain name when you pay for it in a certain period, not purchasing it forever. However, you extend your domain ownership by renewing it before its registration period ends. For almost all domain registrars, there are two ways to renew domain names. For GoDaddy, you can log in to your GoDaddy account and renew your registration manually at any time. Similarly, setting your domain names to renew automatically, then GoDaddy will attempt to renew them and process the payment from your credit card details. In additions, turning off automatic renewal if you no longer want to adopt this way through GoDaddy. Obviously, the advantage of manual renewal is that add additionals years to your domain name any time with GoDaddy renewal coupon. On the other hand, with auto-renewal, you never need to worry about your domain expiration, as well as additional registration actions. Your domain name is always safe instead of losing ownership of your domain. 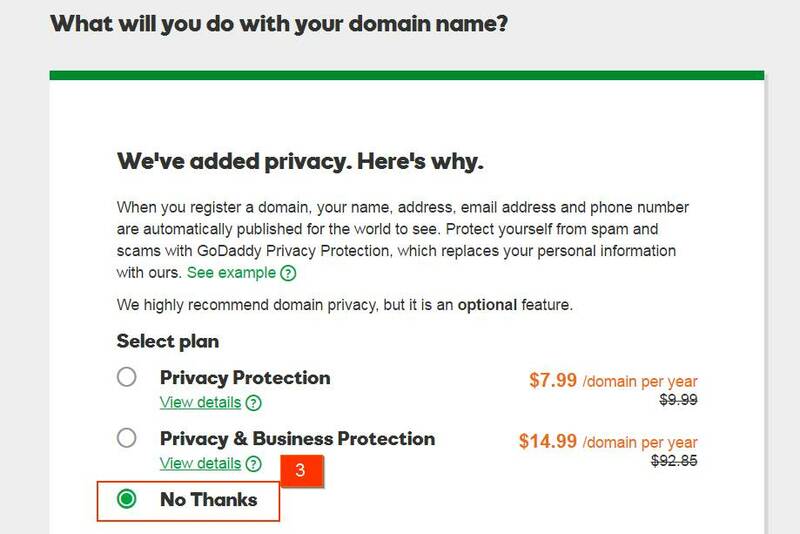 To solve domain renewals and registrations, GoDaddy discount domain club comes out. Simply put, discount domain club gives you the lowest prices on new domains, transfers, and renewals – even pre-registration. Yep, saving up to 40% off on domain renewals. That’s why we list it here. To put it simply, a domain name is the name of a computer or networks on the Internet. In other words, the domain name is a nickname of an IP address(such as 192.105.56.45). The purpose of a domain name is to facilitate remembering and communicating the address of a group of servers. For instance, the official website of the Apple Inc. domain name is www.apple.com, that is easier to remember than its IP address. 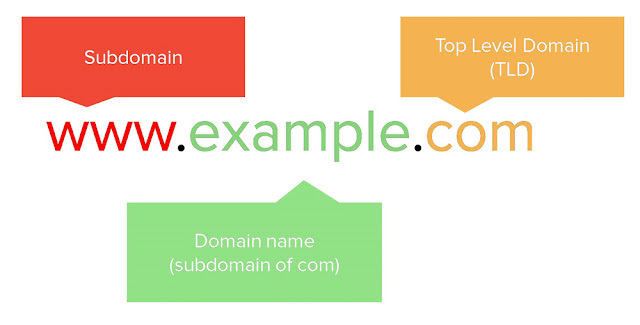 A domain name consists of two parts, top-level domain(TLD) and subdomain. They are separated by a dot, such as example.com. The right-most of the dot is a top-level domain; for example, com is the top-level domain of example.com. Then, the left part is a subdomain of the right part separated by a dot. For instance, the example is a subdomain of the com domain, and www is a subdomain of example.com in domain www.example.com. Ok, after understanding some of the basics of domain names, However, where to go to register a domain name? A domain name registrar is a company that provides domain registration service to individuals or businesses. Also, anyone can register a domain name and gain the right to use it by paying the registrar a yearly fee if it hasn’t already been registered. There are thousands of domain name registrars where people can register their domains. However, it’s important to note that choosing a registrar which is accredited by the Internet Corporation for Assigned Names and Numbers (ICANN). Go to http://www.icann.org/registrars/accredited-list.html for a complete list of ICANN accredited registrars. Well, in fact, when you are planning to start a new website for your business, one of the most critical steps is choosing a domain name for your site. Furthermore, picking the perfect domain name is first right thing after a lot of thought and consideration. Nevertheless, HOW TO choose the right domain name? We have FIVE tips that you can use to pick the best domain for your website. There are already millions of registered domain names. So, a memorable domain name is particularly important. It can be special, unique, catchy, and it is essential to type easily in the browser. It’s a sincere suggestion that using exactly a keyword related to your business in a domain name. You not only explicitly tell the user your website business from your domain name, but also tell the search engine your relevant keywords. For example, if your site is about the cat food then try to get a domain name like www.thecatfood.com or www.freshcatfood.com. The problem of a long and complicated domain name is not easy to remember. In addition, you will lose some traffic if the visitors enter typos with longer domain names. So, choosing a relatively short domain name is a wise choice. Even the domain name has been taken if you want, do not appear hyphens or numbers in your domain name. Try adding a letter or word to replace that. It not only looks very unprofessional but also prone to typos. There is no doubt that .com extension is the best choice for a domain name. As a matter of fact, .com extension is more familiar and easier to remember. If you register a domain, go with .com first. As we mentioned earlier, GoDaddy is a popular domain registrar which is accredited by ICANN. In fact, GoDaddy is the largest domain registrar in the world. 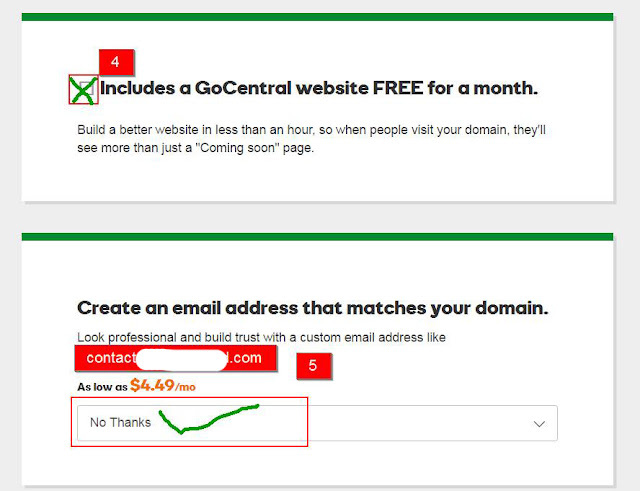 In this piece, we’ll cover how to register a domain name at GoDaddy. Step 1. Into GoDaddy official website, and search the domain name according to our tips above. Step 2. After searching it, select an available domain name and click to select $2.99/year discounted price. It should be noted that this price is available for only the first year. That is to say, when you register your domain for two years or more, the first year is $2.99 and additional years are $14.99. Renewing your domain is also $14.99/year. Step 3. According to ICANN regulation, any person or company must submit their contact information to the domain name provider when you register a domain name. This contact information is public, and anyone can quickly search and get it on the internet. However, with privacy protection, your confidential information is no longer available for public replacing by proxy. For beginners, taking into account the budget, you should select ‘No Thanks’. Step 4. GoCentral is a website builder service with an integrated set of marketing and e-commerce tools to help anyone create a professional website. Trying GoCentral for one month is free. Then $29.99/month after. Step 5. In fact, once you have a domain name, there is a free custom email along with such as contact@newcatfood.com. However, you need to set up email forwarding from the domain to an existing email account like Gmail, Outlook, or other providers. Step 6. Finally, proceed to checkout of this domain. We listed many coupons or promo codes above, and you can find the best one suit for you. All in all, the process of domain registration is an easy, even less than five minutes to complete. However, as we mentioned earlier, choosing a right domain name is the most critical problem that you should consider first. What If My Domain Name Has Expired? Once your domain has expired, you can renew it free in Renew Grace Period. Once Renew Grace Period ends, the expired domain name will be in Redemption Grace Period. You can still renew the domain by paying a redemption fee. However, once the Redemption Grace Period ends, the registrar will release this domain name to the registry. The length of the Renew and Redemption Grace Period depend on the registrar, most general top-level domain name extensions like .com have a 42-day grace period. Here is a timeline based on .com domain name at GoDaddy. Day 1-18. Renew Grace Period – Godaddy will try to renew your domain name three times during this period automatically. Or you can manually renew the domain name. It does not require an additional fee in 1 to 18 day. Day 19-42. Redemption Grace Period – This period is kept from 19 to 42 days, during which time you can still renew domain name by paying a redemption fee ($80). Day 43. GoDaddy assigns the domain name to the winner of the domain name auction, backorder or closeout. If the domain name has not been renewed or bought, GoDaddy releases the domain name to the registry. There you have it – HOW to register your domain name at GoDaddy, and then renew it with domain renewal coupon. Now that you’re aware of renewal trick, hopefully, you can save a cup of coffee from a domain. Of course, we also included some great GoDaddy offers. So, grab some of the coupons we listed suit for you.